As most of us know, the tax code is complex. Sadly, divorce can be, as well. In some instances, the parties can wrap up financial matters simply and rather gracefully. Other times, it is not so seamless – through no fault of those involved or their attorneys. There can be many multidimensional issues to address, issues that make the usual headache of tax preparation even more painful. If springtime invokes in you a feeling of impending dread, fear not. 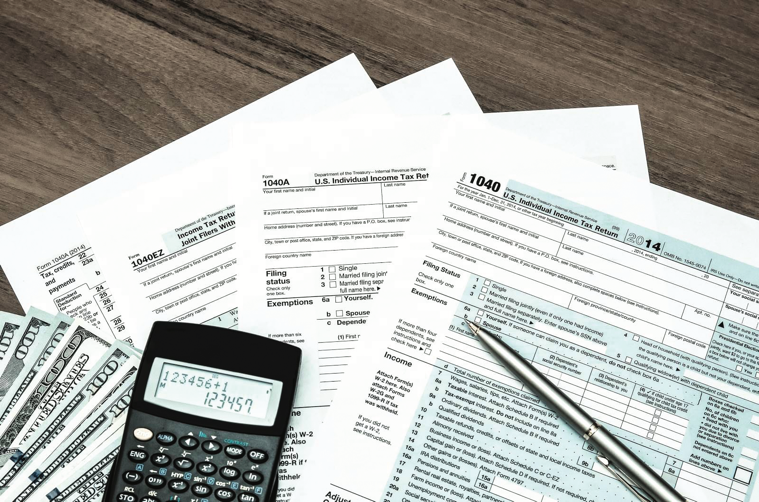 A knowledge of taxes as they relate to divorce – and knowing the right questions to ask – can help you survive tax time without it taking a heavy toll. Often, divorce raises the question of who can claim children as dependents. In North Carolina, the custodial parent is the one to claim children as deductions. It’s an over-generalization – albeit a fairly accurate one – that the custodial parent is the one who keeps a child or children overnight most often. Things can get tricky if you have a joint custody arrangement in which time is evenly divided or if you only made a “handshake” agreement that does not specifically cover such issues. An experienced attorney can help make things more clear by addressing dependency as part of the larger child custody and child support framework. However, N.C. guidelines still clearly presume dependency deductions go to the custodial parent. You may also be able deduct medical expenses and a mortgage that you paid on your own, opting a “head of household” or “married filing separate” designation on your individual filing. Often, divorces involve regular financial payments – child support, alimony or both. The IRS views the two forms of support quite differently, designating alimony as tax-deductible for the person paying it and a form of income for the receiver. A parent receiving child support, on the other hand, is not required to list that money as income, nor is it tax-deductible for the payor. Many attorneys may reach child support and/or alimony agreements outside the courtroom – and in amounts beyond the designated guidelines – as part of a comprehensive settlement. Similarly, some attorneys design orders and agreements to “front-load” alimony payments over the first three post-separation years or disguise property distributions as alimony. Such arrangements depend on your specific circumstances and are worth discussing with a knowledgeable legal professional. Beyond the myriad guidelines and sneaky loopholes, simply getting started by choosing a status can be overwhelming. North Carolina does not require separated couples to obtain a court order, make a legal filing of their separation or draft an agreement, and separated spouses can continue filing joint returns by consent. But if you are paying post-separation support and hope to claim it on your separate tax filing, the better practice would be to codify it in a written document. The bottom line – separation and divorce add an extra layer of difficulty to a process that is often already difficult to navigate. If you are unsure how to proceed with taxes, begin by seeking the advice of an attorney. The Lea/Schultz Law Firm is located at 1612 Military Cutoff Rd., Wilmington, NC, 28403. Call (910) 239-5990 to request an initial consultation or visit www.theleaschultzlawfirm.com. Jim has been practicing law for 36 years. In 1996, after only 16 years of practicing law, he received an “A preeminent” rating from the country’s most respected lawyer rating service, Martindale Hubbell, an honor earned by only 10 percent of the country’s lawyers. Since that time he has been named a “Super Lawyer,” honored as one of “The Best Lawyers in America” and “preeminent lawyer,” all for over 10 years. He was recently inducted into “Lawyers of Distinction,” limited to the nation’s top 10 percent of lawyers. His firm has been named by US News and World Report as one of the nation’s top law firms for over five years.